Will Automation Take Over The Food Franchising Industry? If you have ever visited and/or frequented New York City, you may have noticed that you can essentially order anything you could ever want online for delivery. Anything from frozen yogurt, to meals, to groceries, to alcoholic beverages. While it seems like NYC is always on the cutting edge of technology first, even in the more “rural” areas, food and beverage industries have begun to adapt to this new automation and a robotic business model, especially franchise models. Ordering online and/or through apps, what was once a luxury of ease, has become somewhat of a necessity, at least for the younger generations. When choosing where to consume foods, if a millennial is faced with ordering online/through an app for delivery, or picking up the phone, they’re more likely to choose the technologically savvy restaurant. According to Entrepreneur Magazine, last year more than half of Domino’s orders in the US came from digital platforms and devices. Other food franchises like Taco Bell, Dunkin Donuts, and KFC also have adapted to this model with their own order-and-pay mobile applications. 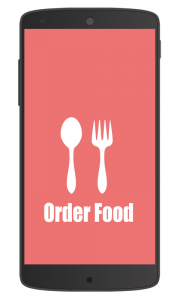 It is estimated that by 2020, mobile ordering will account for about 10% of all quick-service-restaurant sales. You may have noticed some of these transitions already taking place at food locations, like iPad order stations, automated order kiosks, or mobile app orders for pickup. While this may create a higher volume of orders, and have the potential to create other jobs that are simply restructured in the industry, it still does create an uneasy feeling for food service workers. Imagine knowing that your job could easily be replaced with robots at any time? 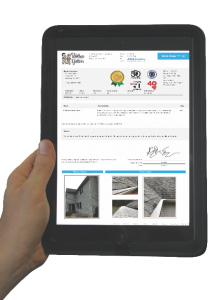 In the construction industry, while our estimate processes may change, by adding an iPad for digital estimates (which The Brothers that just do Gutters have already incorporated into their fully digitalized process), using drones, searching google maps, and/or operating face time applications for consultations, the actual labor part of the industry can never be automated. When joining a trades franchise, you can feel comfort in the fact that your business will always require human manual labor, thus job opportunities, and a skill that is held to a high standard. At the rapid level that automation is taking over the food industry, it makes a franchise industry like the trades, even more desirable. It seems more “future-proof” to join an industry where complete automation is less eminent, rather than one where automation has already taken over a surplus of jobs. If 73% of food service jobs have the potential to be taken over by robots, this begs the question, is the business owner’s role potentially even replaceable by automation? In an industry where automation is not only possible, but probable, getting on board in the present time where technology is so overwhelmingly available, may not be the best choice, or at least may be associated with more risk. Because of this, if you are interested in purchasing a franchise, you may want to weigh your options very heavily, and really consider a service industry trade and/or one that requires human skill. Additionally, in a franchise model, the owner ideally teaches and trains leaders below themselves to take on management roles. If there are no humans below them, this means that the owner is now the supervisor of all automation and processes. Not only does the owner need to manage the technologies, but they will need to learn how to use them and understand how to fix them as well. Although technology has made our lives much easier in many aspects, technology does not go without error, and automation eliminates the factor of learning from mistakes and growing, as a person would. Homes will always need gutters, and gutters will always need to be installed by skilled human laborers. 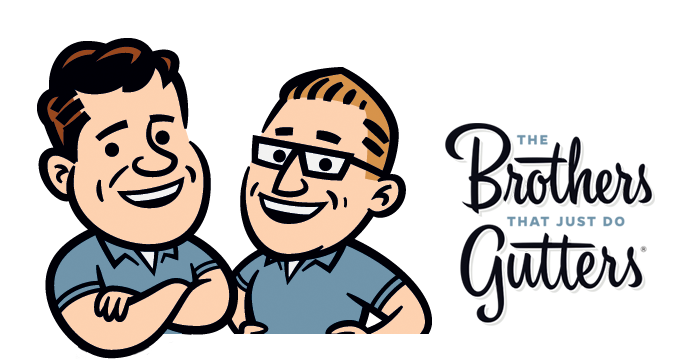 If you are looking to become a business owner of an in-demand business, and one that will likely always require a human factor, The Brothers that just do Gutters has a number of franchising opportunities perfect for you. Join a reputable trades brand, and eliminate the subconscious fear that your job could be replaced by a robot, for much cheaper, at any moment. If you are interested in finding out more about our Brothers Gutters franchise opportunities, contact Ken, Head of Franchise Development, today!